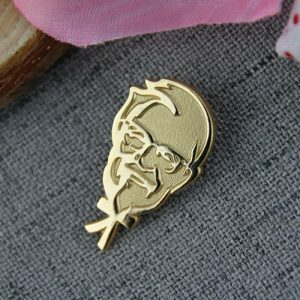 I think many people like eating KFC’s food,especially kids.When we come into KFC every time,we can see KFC grandfather’s smile,which is kind.There is a sandblast lapel pin for KFC grandfather’s portrait. 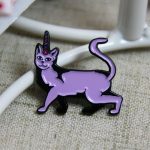 It is very beautiful and exquisite, suitable for customers as gift or workers for KFC. I believe everyone must like it.